Grand Rapids, MI – August 30, 2011 – A national ad campaign with the message that it is possible to live a fulfilling life without God is expanding to Grand Rapids, MI; Niagara Falls, NY; Washington, D.C.; and Durham, NC. CFI is a nonprofit organization with the mission to foster a secular society based on science, reason, freedom of inquiry, and humanist values.  “We want to let nonreligious people in the community know that they are not alone,” said Jefferson Seaver, Executive Director of CFI–Michigan. Roughly 16 percent of Americans have no religious affiliation, according to the American Religious Identification Survey (ARIS), and about 10 percent reject belief in God, based on surveys conducted by the Pew Forum on Religion and Public Life. “Almost everyone in the United States knows someone who is nonreligious — whether they realize it or not,” said Seaver. “We are your neighbors, co-workers, and family members. We lead meaningful lives filled with hope, joy, love and compassion.” The Center for Inquiry hopes this campaign will be a start to dispelling widely held stereotypes that the nonreligious are immoral, selfish, and angry.